It's no secret that I love peanut butter. And it's no secret that, when it comes to recipes, I like things to be simple and quick to make. 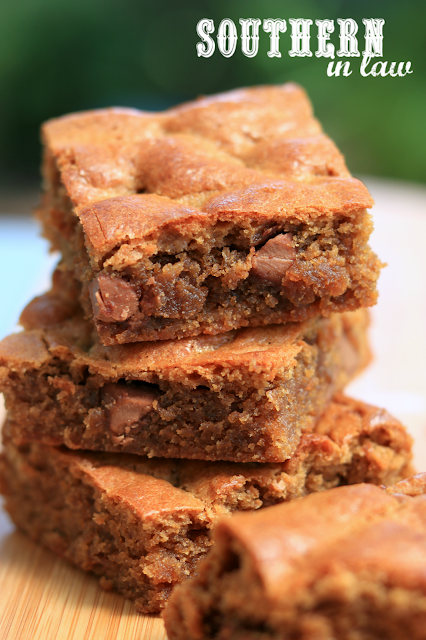 Enter, these Peanut Butter Blondies. 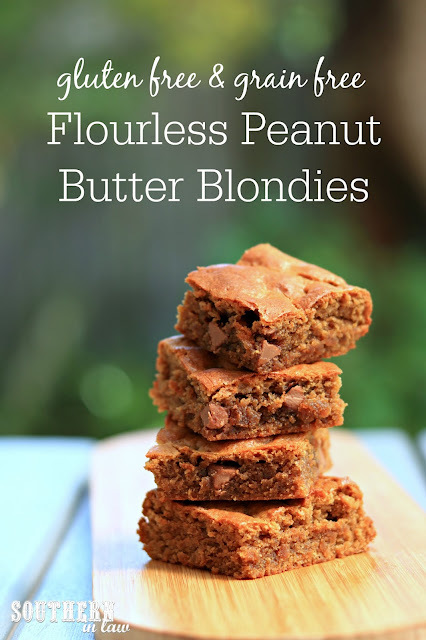 FULL of peanut buttery goodness and made in just minutes (with only a handful of ingredients), they're one of those last minute recipes you can whip together on a whim - but they're so delicious no one will realise they took hardly any effort to create. You won't ever find me on Great British Bake Off (or the Australian version) because I'm a simple no-fuss kind of girl. There's no frustrating whipping or chilling and waiting or complicated ingredients here. Just one simple, delicious recipe that you'll quickly fall in love with. Even better? I've tested this recipe to ensure everyone will love it. Whether you want a chewy blondie or a softer, cakier treat - I've got you covered. In a mixing bowl, combine your peanut butter, eggs, sugar, baking power and salt until combined. If using, mix in your tapioca starch, mixing until everything is incorporated. Stir through your chocolate chips and pour your batter into your prepared pan. 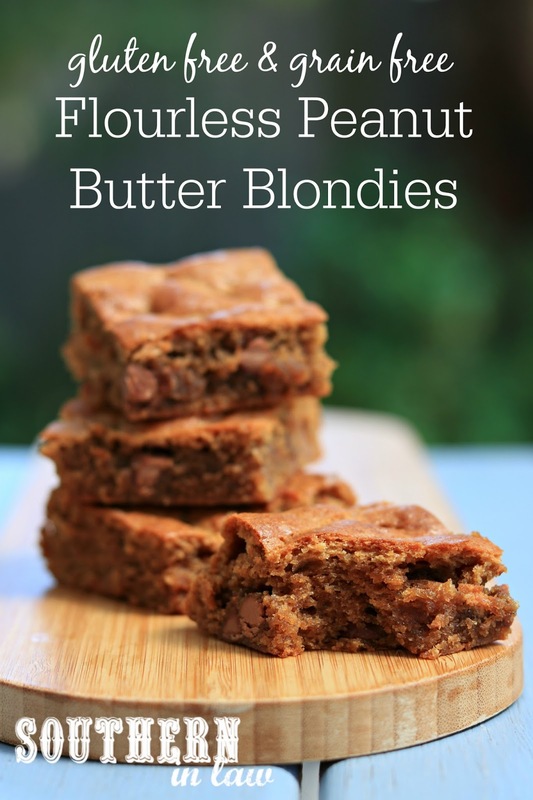 Bake your blondies for 15-20 minutes or until golden brown, cooked through and the edges are firm. These blondies are best on the day they are made - but will keep in the fridge for 2-3 days and can be frozen to defrost and enjoy later. *You can use natural peanut butter (just peanuts) or other peanut butter (with oil/sugar etc added) in this recipe. When using natural peanut butter, I always use the extra tapioca starch as it tends to be runnier. Tapioca Starch: If you prefer chewier, firmer blondies, add between 2 tbsp - 1/4 cup tapioca starch to your batter. If using natural peanut butter, use 1/4 cup. I usually add it to feel, adding just as much as needed to thicken the dough. The recipe without the added tapioca starch will make softer, cakier (but not completely cake-like) bars. When it comes to desserts, do you go for more complicated recipes? Or do you like to keep it simple? And, if you could only eat one dessert for the rest of your life, what would it be? Mine would be chocolate... straight chocolate... or The Best Paleo Brownies Recipe.